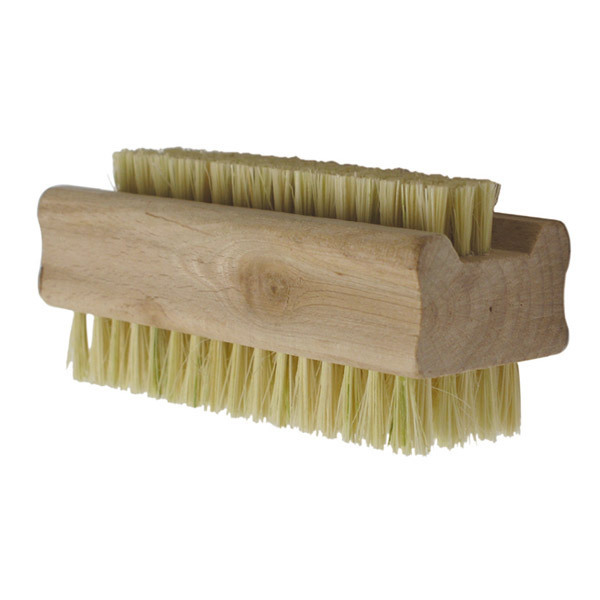 A natural nail brush made with beechwood and agave fibres. Dimensions: 9 x 3.5 cm. - Materials: beechwood and agave fibres. - Dimensions: 9 x 3.5 cm.